Depression in the workplace is a leading cause of lost work productivity, sick leave and early retirement; some key findings indicate that one in ten working people have taken time off work because of depression, and around 350 million working days are lost in the EU each year due to stress and depression. EBC finds that it is a vital time to get involved and start to act on workplace mental health. Thus, we will be piloting and evaluating a workplace mental health initiative called Not Myself Today that was developed by a Canadian charitable foundation, Partners for Mental Health (PFMH). Not Myself Today was introduced to workplaces in Canada in 2013 to encourage employers and employees to transform mental health at work, and will now be piloted, and if successful, rolled out across Europe. Through this initiative, European companies and organizations will receive comprehensive resources and tools to organize events and activities that engage employees and aims to reduce stigma and create cultures of acceptance and support for mental health and for those who are facing mental illness. 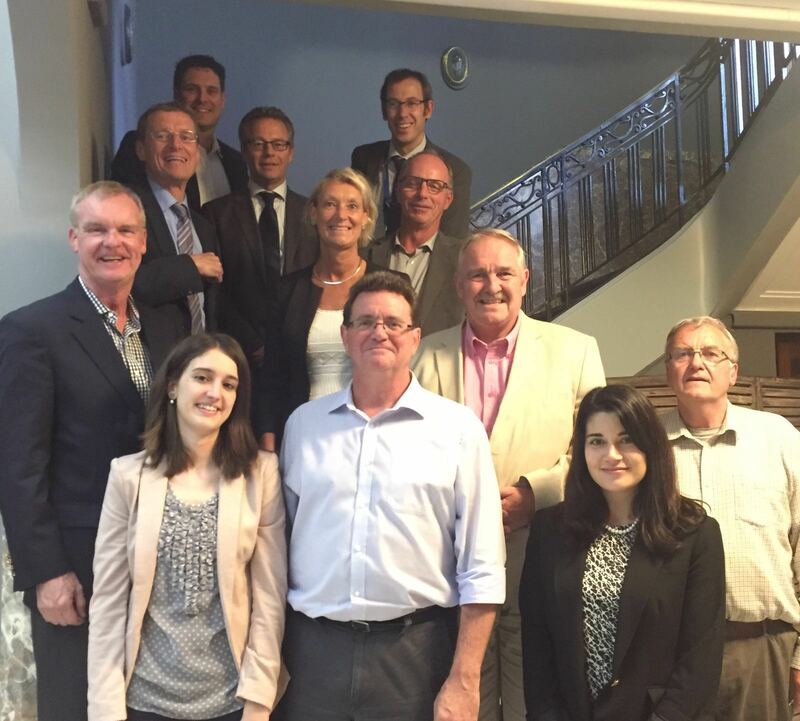 On 15-16 June, EBC held its first official meetings with PFMH and an advisory committee to begin the formal process of bringing Not Myself Today to Europe. 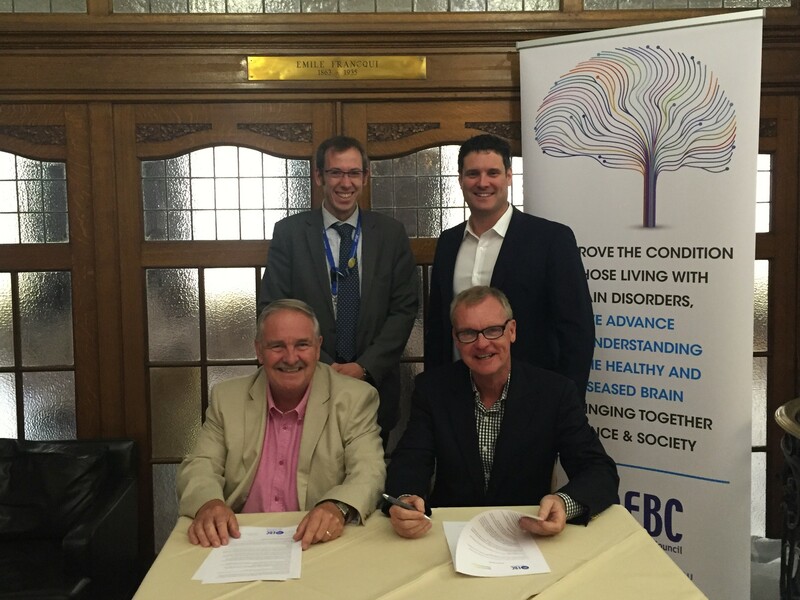 A meeting between EBC and PFMH formalized the relationship by the signing of a Letter of Intent, and both organisations received detailed introductions and held “deep-dive” discussions. The advisory committee was formed in order to assist and advise EBC on any adaptations needed to have a toolkit fully fit for the European workplace. A meeting on June 16 brought together experts in the fields of workplace mental health, occupation studies, psychology and business representatives for the first time to discuss the campaign and how it can be rolled out in Europe. Advisory committee members discussed European mindset on issues like mental health, and pointed to cultural differences in the discussion of one’s feelings in public. However, the general consensus was that this is a much needed topic to address and initiatives like Not Myself Today are vital for societies facing growing trouble with burn out and high rates of absenteeism. EBC’s first chance to introduce the project to the public was at the Lundbeck Global Patient Advocacy Summit 2016, held in Copenhagen on 27-28 June. A representative from EBC presented the new partnership alongside PFMH and spoke about the importance of collaborations in order to make a difference. The next step is to begin the introduction of the campaign through a pilot launch in the Autumn. Sponsor and partner companies will run the programme in their offices and hopefully benefit from the resources provided.